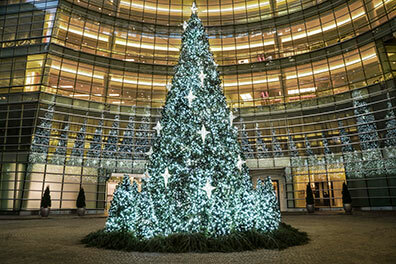 Tis The Season New York by Betsy Pinnover Schiff, published by Schiffer Publishing, Ltd is an iconic book of photographic images celebrating the vibrant and colorful holiday season in New York City. This beautiful book is a love letter to New York City with its series of stunning photographs that together with short captions capture the New York festive spirit. Tis The Season New York by Betsy Pinnover Schiff makes a delightful book for your favorite New Yorker or as a gift to remember a special vacation in the "Big Apple." Happy Holidays! New York City is a special city that attracts visitors from around the world and captures the hearts of all that visit at anytime of the year, however each year from November until January, when the city takes on a bit of holiday magic and department store facades and interiors don their finest festive attire and are decorated as a fantasy for their eyes, and small shop windows are designed to enchant, it becomes an even more delightful city. 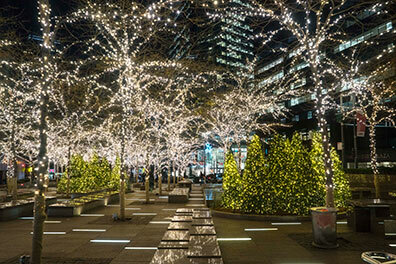 Photographer Betsy Pinnover captures the magic of the holiday season in New York with her beautifully inspired images of seasonally decorated horse-drawn carriages in Central Park, skaters gliding over the ice in Rockefeller Center, the Holiday markets in Columbus Park and Bryant Park, the sparkle of Radio City Music Hall, and Times Square all dressed up like a giant present for viewers. A New Yorker, Ms. Pinnover knows the city well and her love for it is readily apparent as her book expertly catches it's enticing spirit with photographs of the sparkle and shine of the lights, the decorated trees that grace the city's streets, in parks, in front of, and inside buildings, and she takes the reader inside some of the best places in New York to experience their exciting decorations. She also playfully and whimsically includes photos of the many Santas in New York, and a photo of one of the two famous New York Public Library lions (their names are Patience and Fortitude) dressed for the season with a giant pine wreath and bright red bow around its neck, which for me, may be my favorite photograph of all. Tis The Season New York by Betsy Pinnover Schiff is the perfect coffee table book to not only be enjoyed during the holiday season, but throughout the year as well to remind us of the enchantment and magic that takes place each year from November until January, with the hope that perhaps some of that special spirit will linger with us in our hearts all year. Wishing you the happiest of holidays! "Betsy Pinover Schiff is a New York City-based photographer known for her images of landscape architecture, gardens, and travel destinations that have been described in The New York Times as, "an ambrosial paean to public and private spaces." Her photographs have appeared in numerous books, magazines and calendars. Betsy studied photography at the International Center of Photography and the School of Visual Arts in New York. She completed master workshops with the photographers Jay Maisel and Sam Abell, both of whom have had a strong influenceon her work. Prior to becoming a photographer, she over saw communications for the New York Public Library, and spent several years managing promotions, publications and events at Sotheby's." 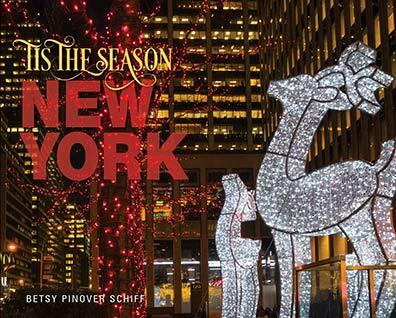 Tis The Season New York by Betsy Pinnover Schiff is published by Schiffer Publishing, Ltd. and is available as a hardcover. ISBN: 978-0-7643-5604-9, $34.99. The book is available in bookstores and online, including: Schiffer Books and Amazon. © December 2018. Luxury Experience. www.LuxuryExperience.com. All rights reserved.